Mathematics teachers and students from across Oklahoma gathered June 11 at OCCC to discuss new and innovative ways to teach math during the annual Oklahoma Council of Teachers of Mathematics summer conference. 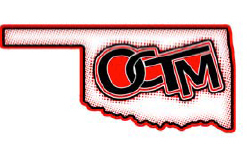 More than 250 Oklahoma kindergarten to college math teachers attended workshops to learn about maximizing their students’ learning experience, said Gail Malmstrom, math professor and OCTM conference co-chair. She said the council helps promote OCCC amongst the math community. Six to eight presentations were held every hour during the conference, Malmstrom said. Presentations varied from using technology in classrooms to using handheld objects such as apples and balls to teach math. OCCC students and teachers conducted some of the presentations, she said. Workshops included information about using games to show how the math rules work and using SMART Boards, a white board that uses digital ink and allows teachers to project notes. Another workshop, “Exploring Space with Mathematics,” was presented by Mike McGlone of the National Aeronautics and Space Administration. Students also attended the conference to learn about the challenges they will encounter in the teaching profession, Malstrom said. Mark Edmunds, OCCC student, said he was skeptical of the new techniques being promoted to make learning easier. “The best technology in the world doesn’t replace a quality teacher,” Edmunds said. To contact Melissa Megginson, email onlineeditor@occc.edu.